Have you ever pulled back your face or perhaps even your leg skin back to make it look tighter? Come on, admit it. Look at these results to improve loose skin and deep lines in the cheek area and mid-face. They are impressive. 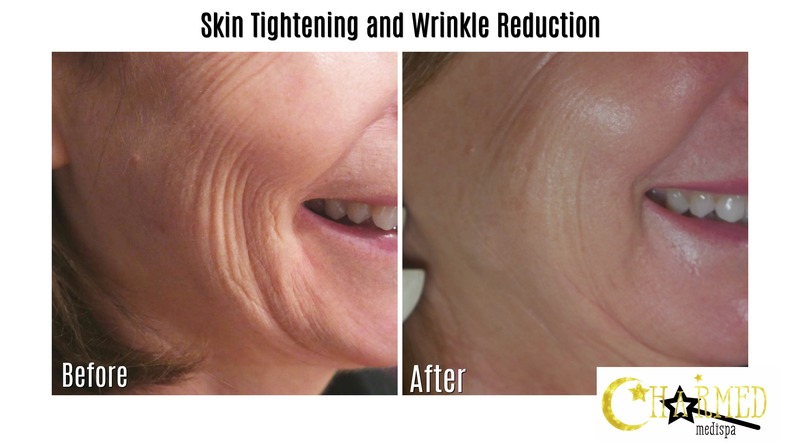 Loose skin is a concern for many of us and fortunately, we have very exciting and effective skin tightening with collagen firming treatments that you can choose from. Here is a breakdown. Our favorite face only skin tightening treatment is Sculptra Aesthetic. Sculptra has been around for decades and we call it an aesthetic granddaddy. As aesthetic providers, we know all we need to know about Sculptra including how Sculptra works, how many treatments does it take and would it be a good treatment for you. When a treatment gets this much time in the aesthetic arena, it is beautiful. Sculptra has stood the test of time and it works magically. What is Sculptra? Sculptra is poly-L-lactic acid which is an FDA approved injectable that helps gradually replace lost collagen. The results of Sculptra are gradual (sort of like hair growth) and will typically last for a few years. At Charmed Medispa, we have seen results of Sculptra that are impressive both in our clients and ourselves! Another option for skin tightening is Exilis Ultra. Exilis Ultra uses radiofrequency and ultrasound to stimulate collagen production by heating the skin. Exilis Ultra is not an injectable and can be used on the face, neck, chest and body to tightening skin in any area. Exilis Ultra feels like a hot stone massage and is an excellent option especially for the neck area. Dermal fillers like Restylane and Juvederm can be injected directly into wrinkles and smile lines to smooth them. Dermal fillers are not going to puff the area out. Fillers will smooth the area out sort of like spackle fills in a crease in the wall. We just love dermal fillers! There are so many applications of what fillers can do in addition to the bonus of rebuilding collagen! Do you want to feel safe and secure in your treatment options? Do you want to know that whatever is recommended for your concerns will be in your best interest or that there will be no recommendations? Trust these fundamental principles to be our top priority at Charmed Medispa. Our medical spa is located in Newark, Delaware, and we are proud to have the most experienced providers serving you. 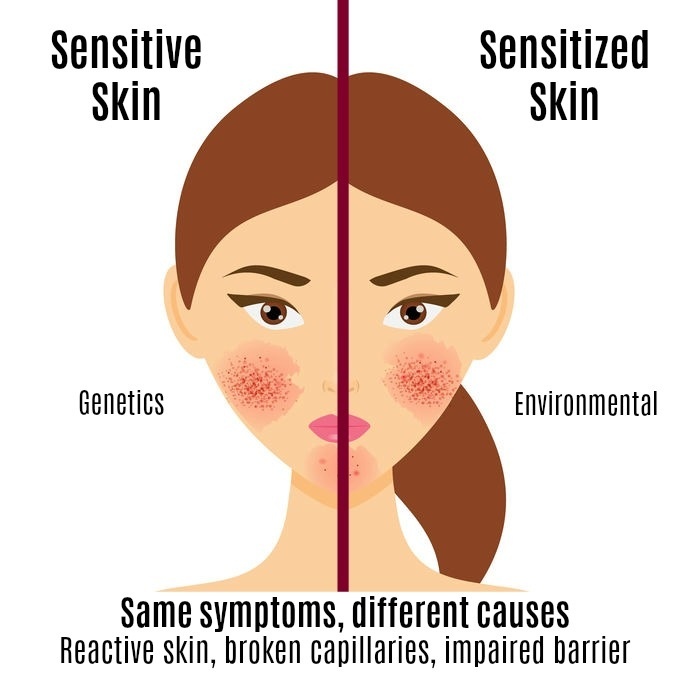 In addition, we offer facials, medical grade skin care, chemical peels, microneedling like PRP, laser resurfacing like Pixel and Fraxel as well as Botox, Dysport, microdermabrasions and more. Start today on your well aging journey. Check out our positive five star reviews for Charmed Medispa and our results gallery.